We all knew for a fact that Michael Bay's next Transformers film is going to be batshit crazy (in a really bad way). 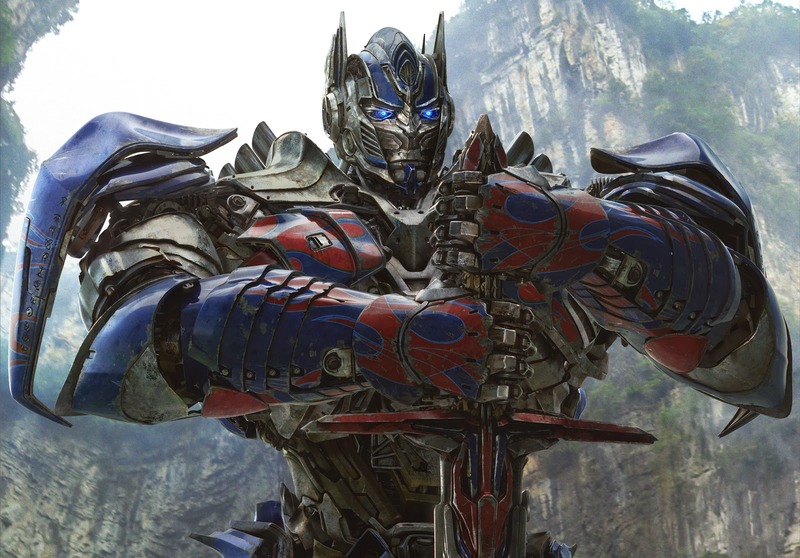 And now we have the first full trailer of Transformers: Age of Extinction to witness for ourselves what depths of madness await the Robots in Disguise. 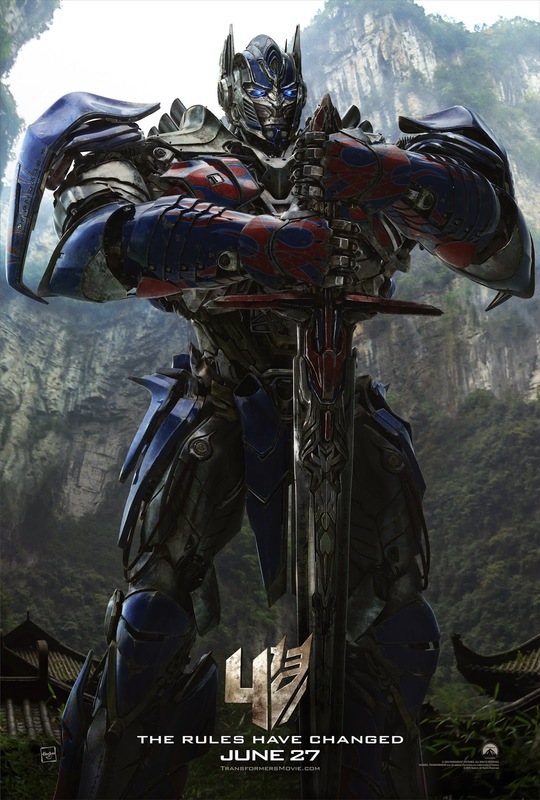 In our last coverage of Michael Bay's next chapter of his abysmally reviewed yet best-selling live-action adaptation film series of Transformers, we saw a sword-wielding Optimus Prime riding atop Grimlock, the most popular Dinobot around, in a China-esque setting pulled right out of a "Crouching Tiger, Hidden Dragon" scene in the first teaser trailer of Transformers: Age of Extinction thanks to Big Game Sunday. With the film set to hit the big screens in three months, Paramount Pictures has released a slew of promotional materials for what is likely to be one of biggest films of the year. First up, hit the jump to check out the first full trailer complete with more wackiness that you might have expected from a Michael Bay film. 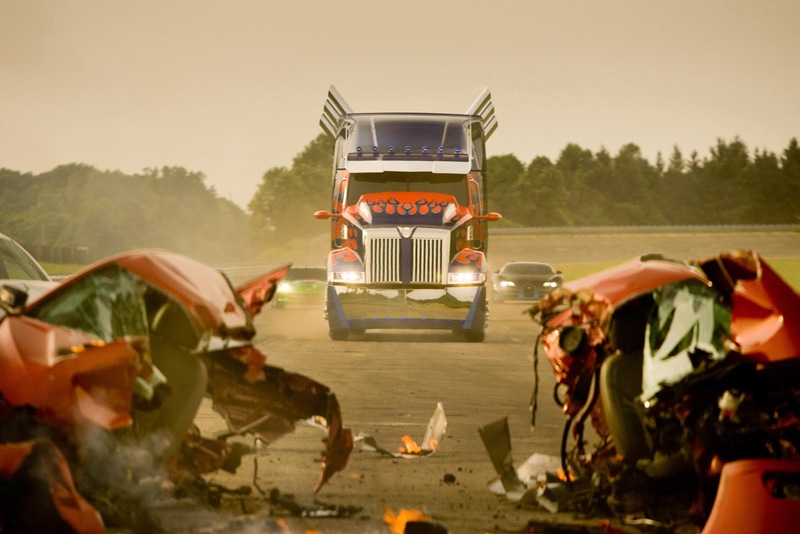 With the Autobots seemingly out of favor with the ever-puny humans, Optimus Prime and crew appeared to be on the run with paranoia over the Transformers spreading across the world. Which is why Dinobots have to be introduced as mankind loves cuddly dinosaurs. Yeah right. 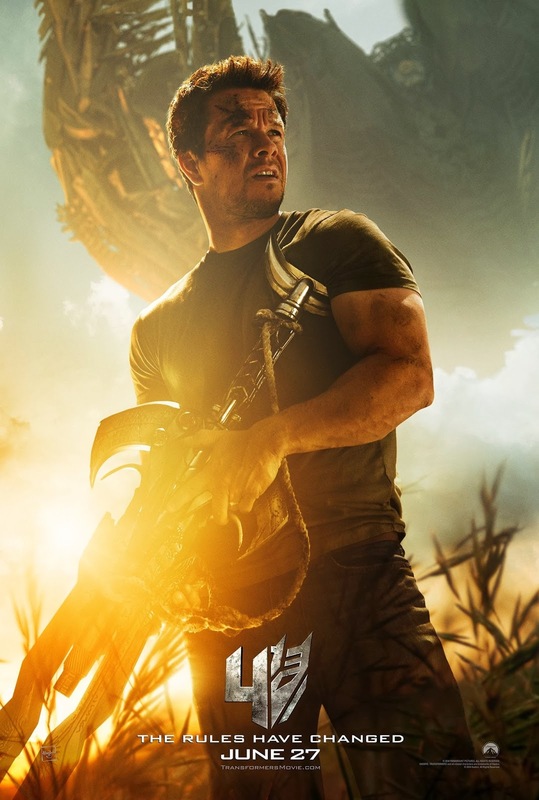 Based on what we have gathered thus far, Mark Wahlberg is the new protagonist with a real clunky name (Cade Yeager) and a couple of kids (obligatory screaming kids required). Like its predecessors, the protagonist bump into the Autobots and become their companion. That's the storyline in a nutshell. If you find the action blasting past you in the trailer above, here are a dozen of the screenshots from the trailer to aid you in regaining your senses. If you try your hand at the number on the "REMEMBER CHICAGO" bulletin board (855) 363-8392, you will be told to a viral website where you can download the below propaganda poster. 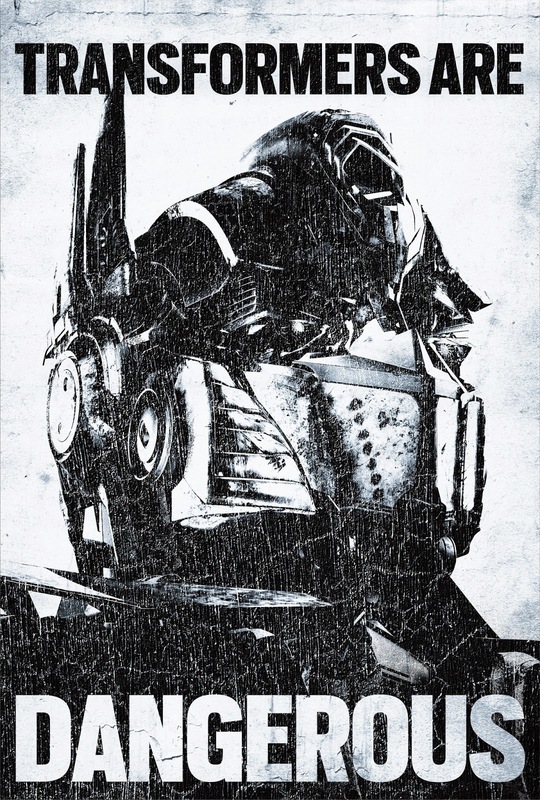 Here's another newly-released poster featuring Optimus Prime in heroic pose. 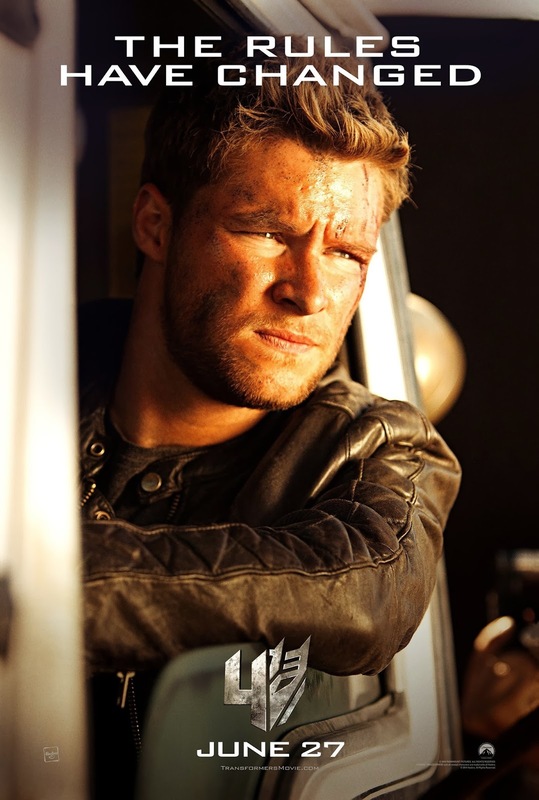 Starring Mark Wahlberg, Nicola Peltz, Jack Reynor, Kelsey Grammer, Stanley Tucci, T.J. Miller, Titus Welliver, Han Geng, Sophia Myles, and Li Bingbing, Transformers: Age of Extinction is currently scheduled to be released on 27th June, 2014.